I’m at Bricolage Bread & Co. in Tokyo’s Roppongi district, where Ogata is delivering a presentation about cacao — the pod-shaped fruit whose fermented beans are used to produce the main ingredient in chocolate — and Cacao Hunters Japan, the brand she helped to develop in Colombia. 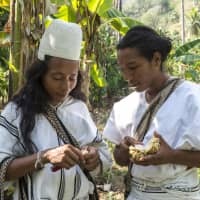 There, the company partners with various indigenous communities to source heirloom varieties of cacao for the Cacao Hunters line of premium chocolates. “Different species of cacao have different characteristics. Some have more bitterness, others more sweetness. The roasted aromas, nutty notes and lime-like acidity are the flavors of fermentation,” she explains. On the plate in front of me are three squares of chocolate, each containing a different percentage of cacao. I pick up a piece of 82-percent dark chocolate made with cacao from the Tumaco region of Colombia and follow Ogata’s directions. The aroma is high-toned and fruity; there’s a citrusy acidity on the palate and a touch of Earl Grey tea, with bitterness and sweetness balancing out the finish. It’s my first taste of chocolate from Tumaco, and I am impressed by its depth and range of flavors. Although Cote d’Ivoire and Ghana are the world’s largest producers of cacao by volume, cacao trees originated in the Amazon Basin. Artifacts found in Ecuador suggest that indigenous people began cultivating the crop over 5,000 years ago. In recent years, Latin American countries such as Peru, Brazil and Ecuador have emerged as key players in the specialty chocolate market, but Colombia has remained relatively unknown. Velasco grew up in Popayan, a picturesque colonial town in southwestern Colombia. After graduating university, he began working with the Colombian Coffee Growers Federation. The job brought him to Tokyo, where he lived for four years, opening his eyes to the potential of high-end agricultural products for rural economies. Products such as coffee, he explains, are usually traded at low prices as commodities; turning them into specialty items adds value and boosts income for growers. 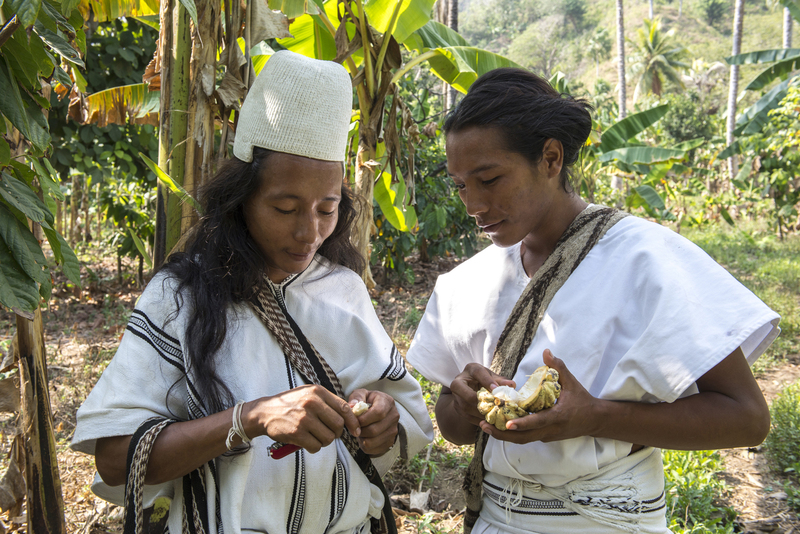 For the past seven years, Velasco has been working with small-scale farmers — around 1,500 families descended from African slaves in Tumaco, and approximately 200 families from the Arhuacos tribes in the Sierra Nevada region. He helps to select heirloom varieties and set up post-harvesting infrastructure, providing vital equipment such as fermentation tanks and drying stations, in order to improve the quality of the cacao beans and resulting chocolate. “The most important element of what we do is provide the farmers with a stable and high price for the product. 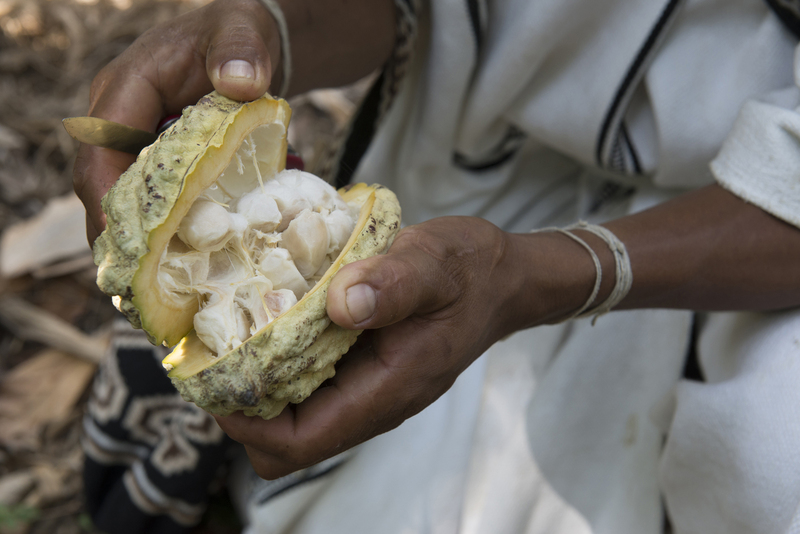 Then we can create the right incentives for them to keep cultivating cacao as an alternative to coca, which contributes to the development of the country as a whole,” Velasco says. According to an impact assessment conducted by U.S.-based investment firm Acumen, the project has led to an increase in net income of 58 to 75 percent for producers. Through contacts in Tokyo, Velasco met Mayumi Ogata, who had been working as a consultant for a major chocolate company. He invited her to Sierra Nevada to meet with the Arhuacos, and she soon became a partner in the venture. In 2013, the two set up a factory in a corner of Velasco’s mother’s pastry shop in Popayan. Velasco made chocolate in tiny batches and Ogata brought suitcases filled with samples to Japan. 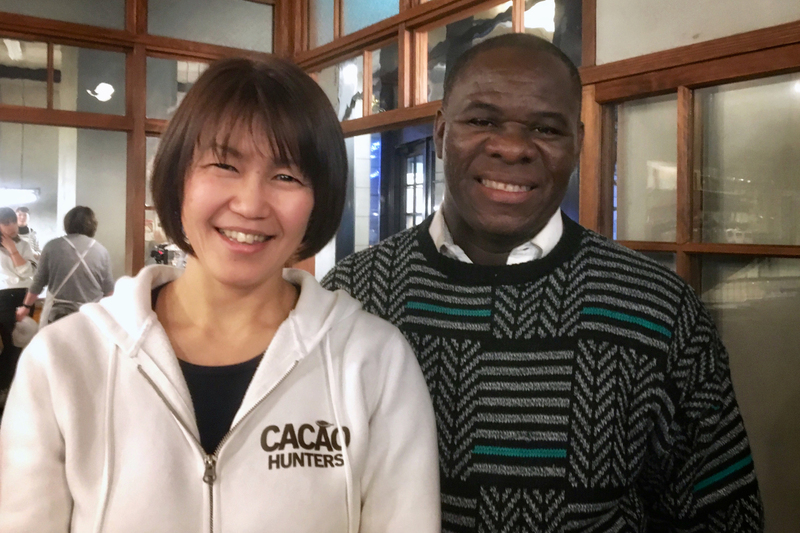 In 2015, Cacao Hunters received its first gold medal at the prestigious International Chocolate Awards, and the company has expanded operations, opening a new facility to meet demand. The Cacao Hunters brand has since caught the attention of top chefs and patissiers such as Jordi Roca, of Spain’s El Celler de Can Roca, who visited farmers in Sierra Nevada last year. In Tokyo, Shinobu Namae uses the chocolate in recipes at Bricolage and his Michelin-starred restaurant, L’Effervescence. “Before, I was using chocolate from big international companies and thought of it as a product without uniqueness. Now I see there is so much more, and this has changed the way I use it,” Namae says. Working with distinctive ingredients, he explains, requires more creativity and experimentation. The chocolate croissant at Bricolage, for example, is made with Cacao Hunters’ 82-percent chocolate, which necessitates a slightly saltier pastry dough to “highlight the fruity flavor of the chocolate.” The result? Delicious. 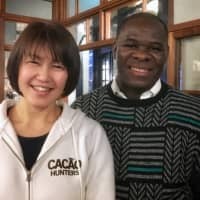 For more information about Cacao Hunters Japan, visit its website at www.cacaohunters.jp.